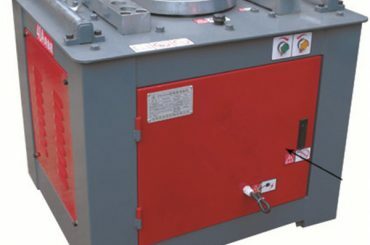 This pilemaster (cage welding mahine) sets stirrups spacing through PLC, with high precision. 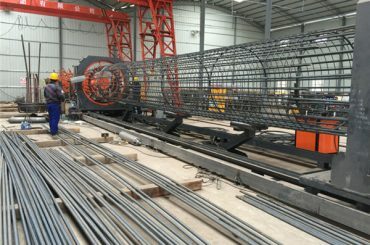 According to the construction requirements, longitudinal bar is feed through the hole on the fixed roatating disk by human and get fixed, weld one head of the stirrups to the longitudinal bar, and the rotating disk will wind and move back to fixed distance to weld to spiral bar to the longitudinal bar, this is how the pile cage (welded cage, reinforcement cage) to be formed. Precision of the welded cage: the reinforcement cage needs high precision of the spacing of the stirrups, this pilemaster (cage welding machine) sets stirrups spacing through PLC, so can promise high precsion, actually the stirrups distance is influenced by the rotating speed and moving speed, so in the control of PLC, there will be no need to worry about. 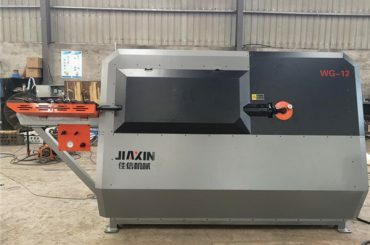 Normally it requires 10 workers, divided into two works shifts, to assist in feeding, welding and inner installation, with the help of these 10 workers, this machine can produce at least 20 finished cages one day. 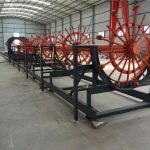 Compared with manual cage making, mechanization production can reach to better cage quality with regular spiral pitch, thus the finished cages share the same diameter and shape, their quality completetly accords with expected standards. 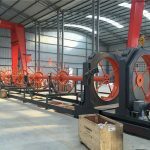 Compared with manual cage making, there is no need for mechanization production to fix inner ring at longitudinal bars with wire, which can save 1% material cost. 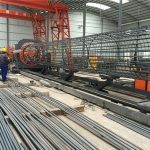 With the help of template, longitudinal bars are evenly placed on the circumference, so that it is easy to lap joint two cages and can save hoisting time. 1500mm dia. Cage: two work shifts, 150-200m per day per machine. 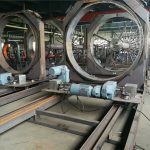 Templates with different circle hole number are used for the production of cages of varying diameter. Each template is for one specific cage diameter. Please make corresponding template installation before cage production. 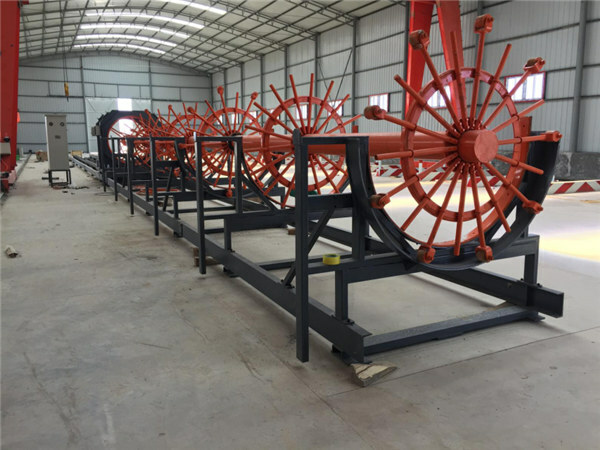 If buyer wants to produce cage of different diameter but without matched template, please tell us, there are two solutions: 1. We directly supply a new one. 2. Buyer can make it according to our provided design drawing at local place. There are two solutions for cage lap joint. Steel bar lap joint: lap joint two short steel bars into a long one, then fix long bars on templates and weld spiral bar on them to make a long cage. Cage lap joint: make two short cages, which length is the same as its longitudinal bars. Then lap joint two short cages into a long one. For increase welding deficiency, we recommend to make inner rings installation after the cage is welded into shape. And we supplies matched stirrup bender to produce inner rings. The rings it produced are not a complete circle (C-shaped) for easy installation. 1. The machine should be installed on even cement ground. 3. 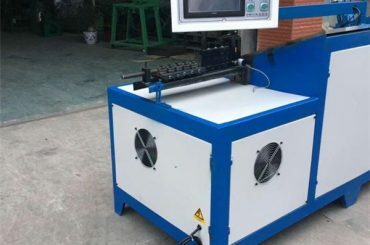 The awning should be installed after machine installation, otherwise it will become an obstacle. 4. 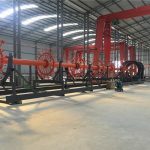 The machine and awning installation should take finished cage delivery into consideration, making 17m extreme-long truck is of easy access. 5. The placement of awning poles needs careful consideration, otherwise it will become an obstacle during finished cage delivery. Place power box close to control cabinet. 7. Finished cage storage area should be as large as possible, which can store at least 3-day production. Normally, about 200m long cage is produced one day (2 work shifts). 8. 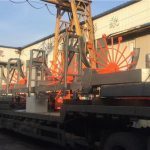 A crane and level gauge is required for machine installation. 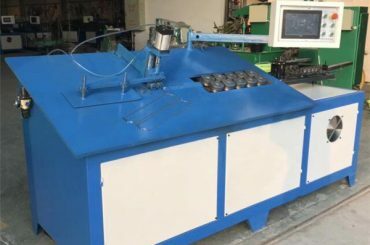 At least one buyer's worker should take part in machine installation and test running to obtain basic knowledge about how to operate and maintain this machine.